Harry needs his glasses because he's basically blind as a magical bat without them. Some pretty awesome events wouldn't have happened if Harry Potter had been running blind throughout the books. He would have been a lot less talented at sneaking around the school undiscovered even with his invisibility cloak on! He definitely wouldn't have caught the golden snitch as many times as he did over the years. And here's the weird thing, we probably wouldn't find him quite as endearing if it wasn't for his thickly four-eyed look. 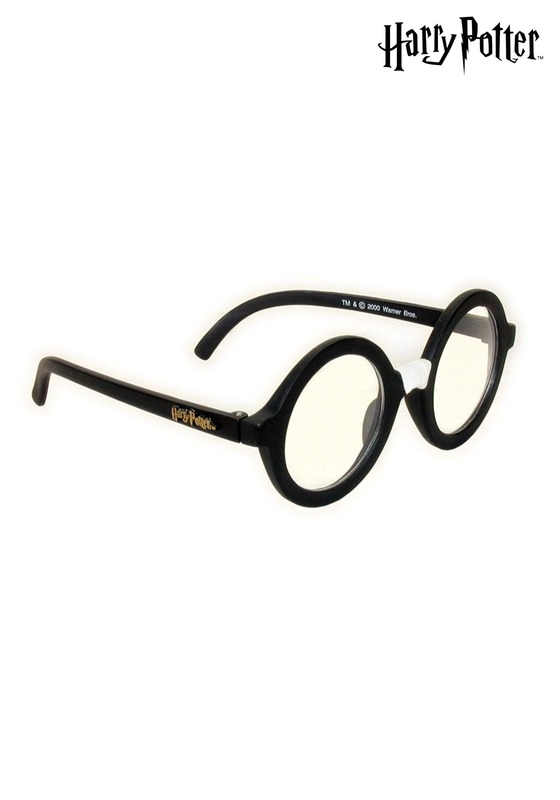 Throw these Harry Potter's Glasses on with any Harry Potter costume to make it looks more authentic. Pair them with a sweet set of Gryffindor robes and a courageous attitude. Now, they're not going to help you spot a wayward dementor or find the Chamber of Secrets but they will make you look like "the boy who lived"! Just don't forget your wand, how else are you going to vanquish Voldemort?